Time travel stories are very hit or miss for me. Throw in the words Historical fiction, and I am even more leery. But with the addition of sinister orders, the Brink and secret societies, I couldn't say no to giving this one a try. Turns out, this one was far from a swing and a miss! I was pretty well and truly hooked from the opening scene. 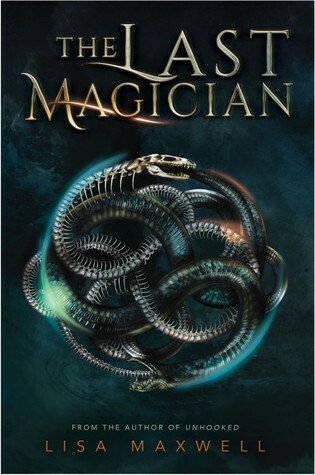 I enjoyed the first glimpse of the Magician, and getting into his head a little. Then we jump straight to Esta, and I was immediately in love with her. She is tough as nails brave, and doesn't take even the tiniest bit of crap from anyone, let alone a man. I appreciated her as a character to the extreme. Her ability to time travel was pretty darn cool, even from a girl who isn't always the biggest fan of the act itself. Every character in the story served their purpose, and did it in the best possible way. I love Esta, but I like when secondary characters are MORE than just that, and can hold their own right alongside the MC. These characters did just that. The story travels in time from early 1900's New York to modern day New York. I adored the world-building, and the incredible differences and similarities between then and now. I appreciated that I never felt jarred, or thrown for a loop, after a jump. I was never once pulled from the story. In fact, I couldn't put it down. I was drawn completely in. The Last Magician was a toss up for me, and I am so glad that it was a winning one. I am sincerely looking forward to the release date so that I can add a copy of this to my over-stuffed bookshelves, and I seriously can't wait for the sequel. A sequel which has the set-up to be a thrilling ride!